The book opens in 1967 with Ora, an adolescent Jewish girl from Haifa, in an Israeli hospital for a non-war related issue. The 1967 war (Six-Day War) breaks out while she’s there. There she meets a young boy named Avram and his friend Ilan. Ora has recently lost her best friend Ava was killed by a bomb. They talk about the communities like Yesud HaMa’ala and other things – get close, kiss. Chapter 1 – 1996 (I think) and Ora is now grown, was married and divorced, works for a Jewish enterprise in Nevada. She has two sons, Adam and Ofer who have to do the required military service – Ofer is just now released from duty. She uses a taxi service to pick him up because she has lost her license to drive but she is close to the driver, Sami, who is Arab but totally trusted … but is still Arab, with his own feelings. Ora is torn – Ofer has left again for emergency voluntary duty instead of spending the weekend with her as planned for his discharge weekend. She thinks some pretty morbid thoughts – “…the last movie he would have seen?” Their parting is on the TV news – Ofir whispers something pretty bad in her ear. – (foreshadowing) She tells Ofer she is going on their trip anyway, alone, without so much as a phone. He’s upset – she has to do it. Her ex-husband, the boys’ father, (Avrim – Ilam?) , calls and she has to tell him that Ofer has returned to the Army for the emergency. He (?) is devastated, been gone for 3 years, no television. He’s alone, wants her to come and she wants to go with him although he lives in a dump. She leaves a note for Ofer (in case he returns before she does) and one for the maid and goes. Who is whom? She is having an “affair” with someone called “Character.” She calls and tells him then leaves a message on her machine saying she’ll be gone a month. Then the story backs up to when she and Sami left Ofer at his weekend duty station. But Sami and Ora and the boy (real name Yazdi) are stopped for a security check and it’s Ora who is suspicious – two backpacks. The boy is the son of a man who works for Sami and is, surprisingly, from the Territories. They continue – history of Ora and Ilam – prosperous career, nice homes. Then Sami takes her to a elementary school-hospital for Illegal Refugees on the outskirts of Jerusalem. This is a totally touching scene – they leave Yazdi there – Ora is very moved. They hike on a little road and come to a locked fence with a gate which they pass through locking it on the way back – it’s just a wire “lock.” Then they come to a stream and although it’s waist deep and has a substantial current, they make it across – Ora helping Avram a great deal. When they are really across he realizes that things will be different now – the old is on the other side of the stream. Backflash – the night before with Sami – she’d told Sami to drive them “…to where the country ends.” And then there are back-thoughts within back-flashes of father in hospital for eyes – blindness – Orem helps father as he adjusts to his new eyesight. Back in taxi – the night before Galilee – Sami turns radio on – switches to an Arab station – becomes very self-centered in her ideas – asks Sami to turn it off – he doesn’t. She’s hot. Very convoluted. She screams – he turns it off. Avram has to go to the bathroom – Sami finally stops – the bitter look between Sami and Ora goes back to Joseph Trumpeldor in 1929 and the riots of 1936 . Avram doesn’t get out of the car in time and when he is out Sami leaves. She plants pits to be trees and they pick up their backpacks – hers is orange for energy, his is blue for peace, calm, stability, security – or femininity. (He’s very small.) They move on – Avram is reminded of the Tel Hashomar hospital where he was catatonic. Avram and Ofer have not spoken for several years – Ora is forbidden to mention Ofer. They are about to cross the stream again a bit upstream – it would be back to the prior side – Avram wants to go, Ora doesn’t know. She explains to him that she is running away – then she tells him about the separation from Ilam. He’s surprised – but she challenges him with “where were you” and “none of your business.” Ilam is in South America with Adam who is even more angry with Ora. Avram has changed – he is like the “lights out” since he was 22 years old. But in spite of all this – they are becoming closer again. Yet Avram has counted the days to Ofer’s release from military duty. He’d been in the Abbasiya (Egyptian) Prison and seen torture – been tortured. He knows he won’t help her – feels he is a traitor – thinks about Ofer – imagines him then becomes disgusted with himself. He lives with Neta, a much younger woman who leaves from time to time. Avram walks around the tree – thinking about his past and the past month since Neta has left – he’s done nothing – out of work -volunteers at the library, started to obsess about Ofer. Hibernating. She pounds the ground – Avram watches. She digs a pit with a rock and sticks her face in it. 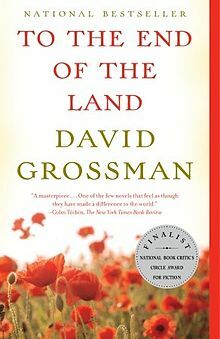 They are in the rich Hula Valley – Avram wants to help her but he can’t because of his prison experiences – digging his own grave three times – and then is buried in it – he gave up his life and died. But as she is telling the earth how to care for Ofer, Avram grabs her and pulls her back. Remembering back – when he got out of the prisons he thought he wished they’d killed him. The two rest and a strange band of really strange walkers comes along led by a man named Avika. The get convinced to join the group Avram worries, Ora is happy and after zig-zagging awhile land in a moshva. I keep seeing an allegory here – I’m not sure I entirely buy into the political message. 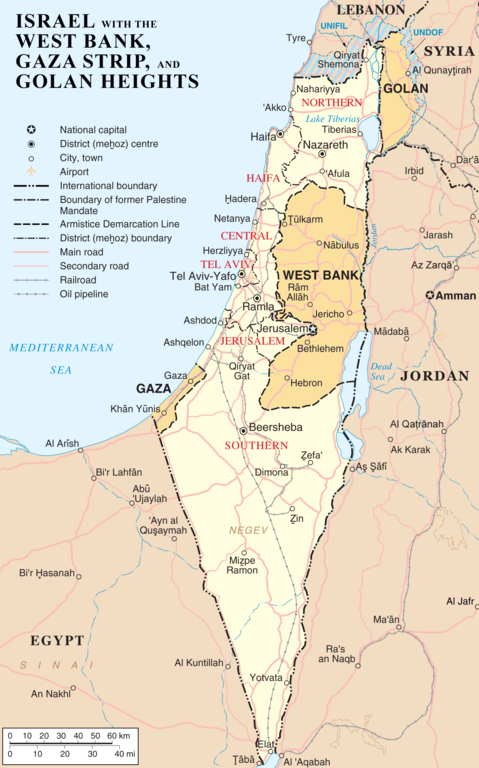 Setting – all over Israel – Haifa – from 1967 and again in 1996 – Jerusalem, Tel Aviv, Galilee, other smallish towns and communities in the territories. Ilan – Ora’s ex-husband – met in 1967, good friend of Avram’s. ** Structure – Prologue (Chap 1) in 1967, Chap 1 – 3 more or less forward chronology but with the style of Grossman regularly going forward a few beats and then using the next paragraphs to catch up. This could be thematic / metaphoric I suppose – the two steps forward and one step back of the Israeli/Palestinian situation. ** ambiguity of the whole situation – it’s a style, too.